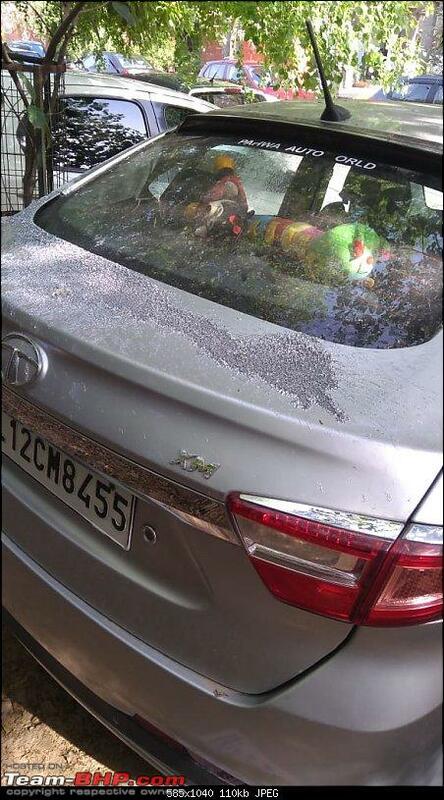 This is what we woke up to today in the morning in one of the so called "civilised" societies of South Delhi. 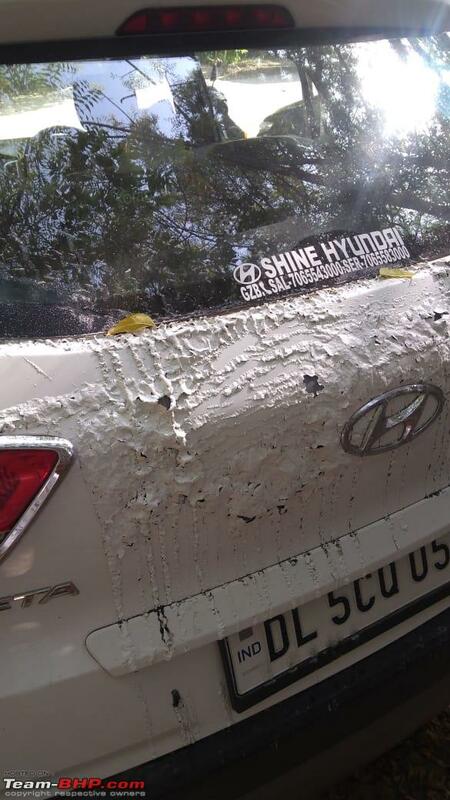 How much rage the culprit must hold in his heart to do something like this to others' cars? Thankfully, my car wasn't parked in the area where this acid attack happened. FIR etc. are under way. Probable cause is dispute over parking slots. Daaamn! That looks outrageous. 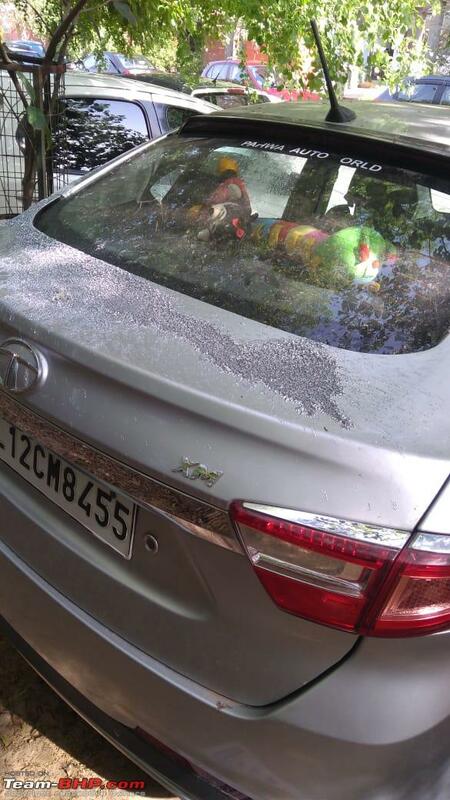 Hope the cops nab the culprits and all the owners file a property damage lawsuit against them. 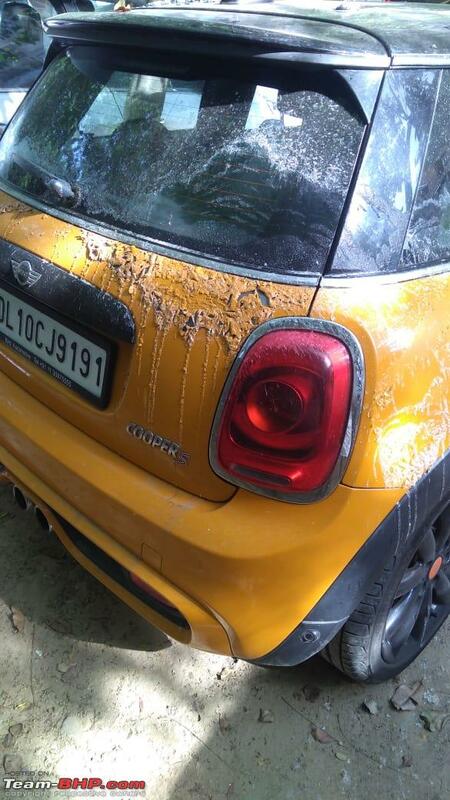 The damage to that yellow Mini looks especially nasty. Others don't fare better too. That's absolutely horrible. What sort of a low life will do that? Pains to see it. I hope the culprits are caught in some CCTV and get the worst form of punishment. How can someone stoop so low? 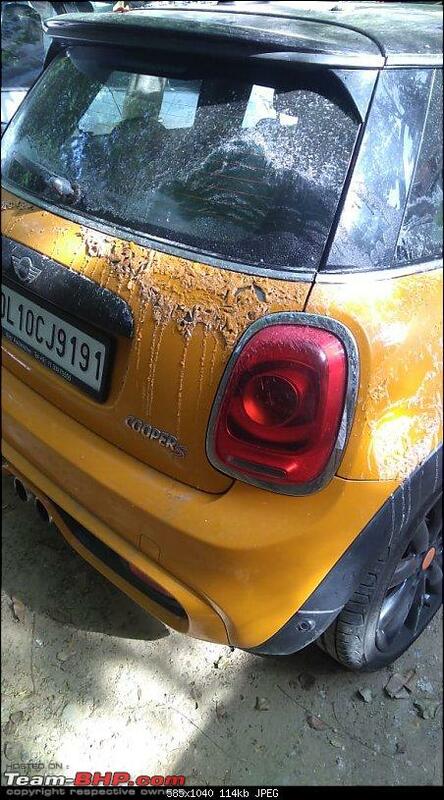 My heart cries to see that mini cooper in such a sorry state. I hope the culprits get nabbed. May better sense prevail. This is what we woke up to today in the morning in one of the so called "civilised" societies of South Delhi. Horrible. Is this Vasant Kunj? Yes it is. Sector D6 to be exact. I'm wondering how they got access to such large amounts of acid. When we got our house in Gurgaon renovated, the mason needed acid to clean the cement/muck off the tiles. When we offered to get it, he categorically said that sale of acid is banned in NCR and there were very specific shops that sold it, to very specific people. Mod Note: Moving acid attack posts to a new thread. Thanks for sharing! Probable cause is dispute over parking slots. Looks more like a case of pure vandalism. Parking dispute would be with one or two cars, not 4. Nothing would come out of the FIRs either. Claim your insurance and install a good quality CCTV. Also these so called civilised societies are some off the worst when it comes to parking woes. Civilised these days is just a feel good word for the rich and affluent, specially in places like Delhi. What is translates into in real life is multiple cars in a limited place with no real designated parkings leading to constant bickering between neighbours. Any cctv footage? were there no private guards etc nearby? So sad to see this. Which low life would have got access to so much acid and burned so many cars. Jealousy has no limits. Hope he is caught and due course of law is followed. I hope the owners take it up with the cops. Just having access to the acid is a case of alarm by such people.The offenders must be caught and brought to justice. Hope the police take this seriously. 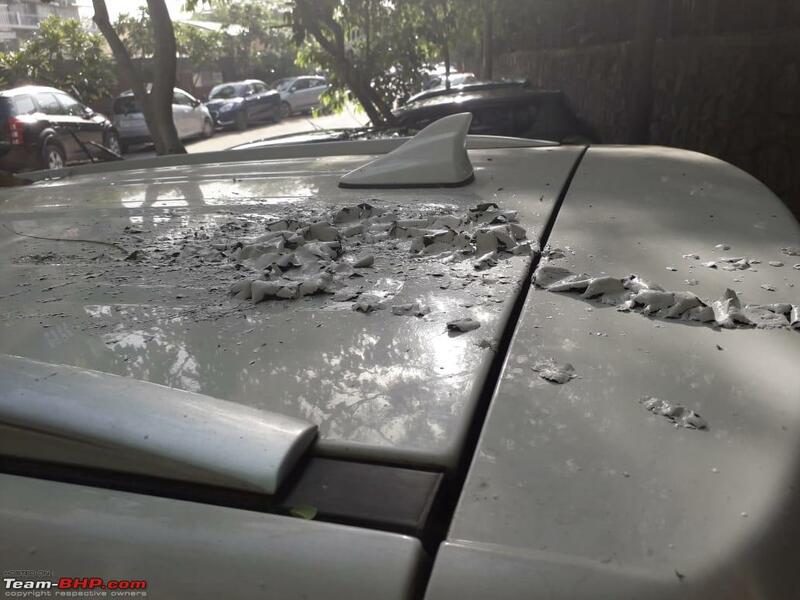 Last edited by sumeethaldankar : 14th April 2019 at 09:59. I really want to know the updates to this one. Waiting for news channels to pick this up. Hope the money to fix these are obtained via fines imposed on those vandals. The cost to fix that mini is gonna be huge isn't it? Some parts may even need replacements like those plastic parts. The cost to fix that mini is gonna be huge isn't it? Some parts may even need replacements like those plastic parts. For me, the biggest shocker apart from monetary damage is that the cars will never be the same again. 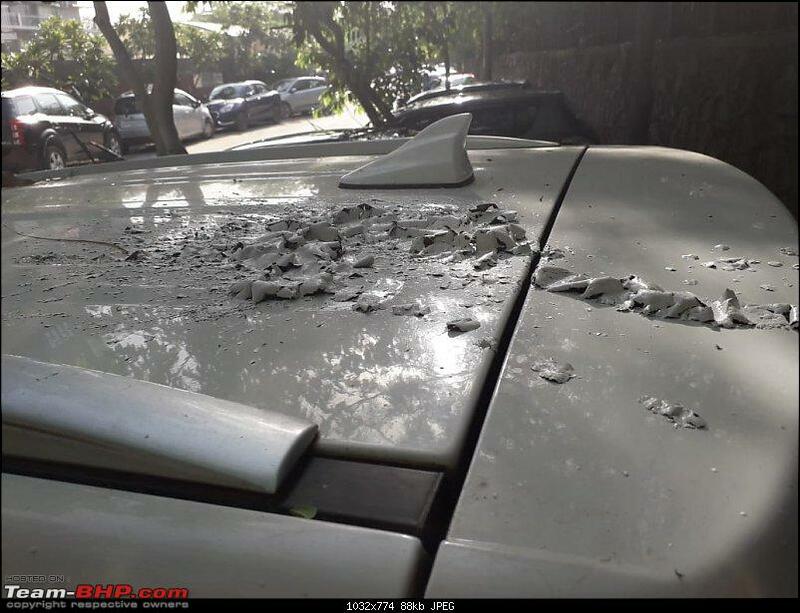 The owners have to deal with issues like repainted panels and misalignment. 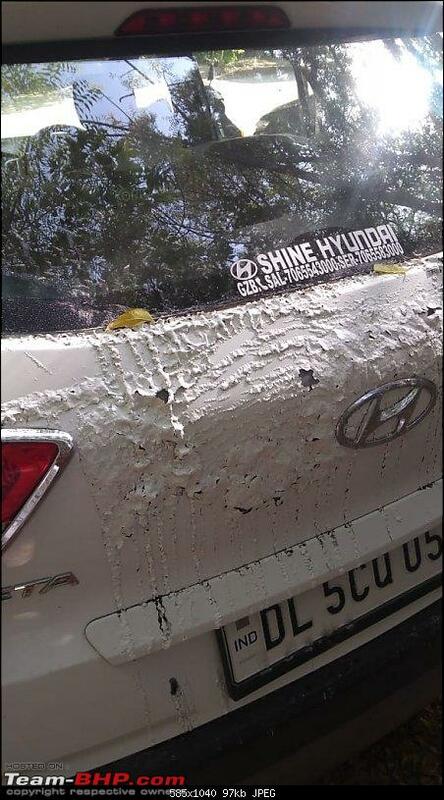 It really pains to see the parked cars getting damaged because of some psychopath. Hope the culprits are found soon. Oh... This is just across the road from my home. Delhi seems to be mellowing down. Instead of shooting each other, folks are settling disputes by pouring acid on each other's cars, as more and more lives are being saved. Delhi is becoming safer. Last edited by SS-Traveller : 14th April 2019 at 13:20. All times are GMT +5.5. The time now is 11:55.